Air conditioning energy saving tips. During the hot Florida summer months it's easy to rack up a high electric bill. Here are a few ways you can save money and still stay comfortable. Did you know that setting your air conditioner only 5% higher can save up to 20% on cooling costs? You may not want to completely turn the thermostat off when you leave the house – but if you get into the habit of turning it to at least 80 degrees you will notice a significant decrease in the amount of your electric bill. If you install an ENERGY STAR qualified programmable thermostat – It can save over $200.00 per year and usually pays for itself within the first year. Some programmable thermostats even allow you to connect them to your computer for programming, and most models are very user friendly. Always try to look for ENERGY STAR products. These appliances are up to 40% more efficient. If you do a little searching on the internet you can usually find rebates and incentives in your area. Using fans will reduce air conditioning costs as well. A fan can make you feel three to four degrees cooler and you will be able to set your thermostat a few degrees higher and still feel comfortable. Try to keep windows and doors shut and close your shades during the day. Simply having your Air Conditioning unit serviced regularly can cut your cooling costs by as much as 15%. The average home loses 15% to 25% of its cooling through leaking ducts. Have your heating and cooling ducts professionally sealed or replaced. Regular maintenance will help your air conditioning system operate efficiently and last longer. When you have your air conditioning unit serviced twice a year you can cut up to 17% of cooling costs. Be sure nothing is blocking your air conditioner. To operate efficiently, an AC system needs free flowing air. Make sure any returns inside the house are not blocked by furniture or other items. Filters should be checked monthly. If you replace your old air conditioner with a high efficiency unit, you will definitely see a difference. New air conditioners use up to 40% less electricity than older models. If you have any questions, call Sean McCutcheon's Air Conditioning and Heating, Inc. at 941-921-7208 or visit http://www.keepingsarasotacool.com/. 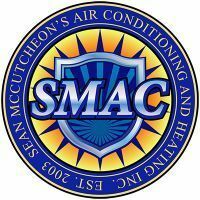 At Sean McCutcheons Air Conditioning and Heating, Inc. We give our customers the quality and service they expect! Is Your AC Tech A Jack Of All Trades? It is estimated that over half of all air conditioning systems operating in the U.S. were not installed properly. An improperly installed system will not work efficiently and will result in expensive repair and utility bills. Hiring the cheapest contractor is never a good idea, and when it comes to the specialized and complicated industry of HVAC – you definitely need to hire a professional. The company that comes up with the lowest bid will have to cut their costs somewhere. 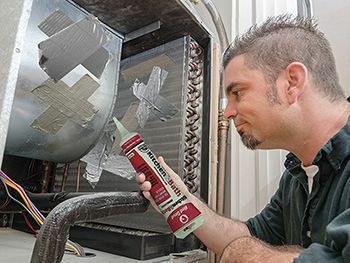 Examples of improperly installed air conditioning systems can include: undersized and un-insulated refrigerant lines, ducts not sealed or insulated, over sized or undersized air conditioning equipment, mismatched indoor and outdoor sections, improperly charged refrigerant, wiring that has not been upgraded. Ever hear the saying "Jack of all trades – master of none". A company that offers Air Conditioning, Plumbing, electrical and other services may not be able to offer the same high level of quality and service as a company that specializes in only Air Conditioning. Your local handyman definitely does not have the knowledge or the experience to properly maintain or repair your Air Conditioning. Much in the same way that the backyard auto mechanic has become obsolete, the increasing sophistication of today's air conditioning systems requires technicians to constantly fine tune their skills. Unfortunately some people view air conditioning technicians the same way they view house painters or landscapers – as low tech semi skilled labor. This may be the reason some people tend to shop for price first. We have all heard the horror stories about unlicensed employees, and less than satisfactory work. Long ago Sean McCutcheon acknowledged that the HVAC industry is always changing, and the importance of technicians that keep on the cutting edge of new technologies. He believes a good technician can never stop learning so he supplies them with the training and information they need to be the best in their field. When you call Sean McCutcheon's Air Conditioning and Heating, Inc., you will get professional, highly skilled and certified AC Technicians. You will also get a dedicated, hard working, and honest person that truly cares about your comfort, and the companies reputation. At Sean McCutcheon's Air Conditioning and Heating, Inc., we don't try to outdo the competition; we set the standard. Clogged Drain Lines - An Avoidable Problem. A very common reason for calling an air conditioning technician is when an air conditioning drain line becomes clogged. This is easily fixed and an avoidable problem, but a clogged drain line can potentially cost the homeowner much money and frustration. Drain lines clog up from dust and other matter that get into the AC System, as well as fungal and other buildup within the pipe. When an Air conditioning technician services your A/C System they will make sure you have a clean condensate drain line. One of the methods is to attach a wet/dry vacuum to the end of the drain line and forcibly draw any buildup from the pipe while they pour a non-hazardous natural cleaning agent into the drain line. They will also place anti fungal condensate pan tablets to the condensate pan that will also help to prevent sludge and buildup. When Sean McCutcheon's Air Conditioning and Heating, Inc. installs a new system they will take the extra time to create a cleanout in a section if the drain pipe that facilitates proper cleaning of the drain lines. Some systems do not have a cleanout and eventually the drain pipe needs to be cut in order to clean it. In Florida, where we use our air conditioning for most of the year, drain lines should be cleaned twice a year to prevent water from leaking into the home. You should also use a quality air filter and make sure to change it regularly since dust particles and other matter can accumulate on the evaporator coil and end up in the drain line which can contribute to a drain line clog. Why you should use quality filters for your air conditioning system. To help make sure your air conditioning system is running efficiently, you should replace filters on a regular basis. If any filter becomes clogged it will block normal air flow to the a/c system and reduce the systems efficiency dramatically. When a filter is clogged air will be forced to bypass the filter and contaminate the evaporator coil with dirt and debris which will impair its heat absorbing capacity. In other words, it will cost more to cool the home. Coils will naturally collect dirt over time, but a good filter will greatly reduce the amount and rate of buildup. Lesser expensive filters cause problems over time because they affect the systems performance and contribute to expensive service calls. The better the filter – the more particles it will collect. Dust that does not get collected by your filter gets redistributed back into your home. If you suffer from allergies or other health concerns, the more efficient filters are a good decision. Quality filters with high MERV ratings will remove more household allergens. It is estimated that a clean new filter can lower your AC systems energy consumption up to 16%. Quality filters cost more in the short run, but in the long run they will pay for themselves in healthier air, a more efficient Air conditioning system, and less change of expensive maintenance bills. Home Warranties: They sound like a good idea, but are they worth It? Is Your AC Ready For The Summer? May 15, 2019 is National Senior Fraud Awareness Day! Is it time to replace your air conditioning ducts? Why we only specialize in residential and commercial air conditioning and heating systems. How pure is your indoor air? Sean McCutcheon's Air Conditioning and Heating, Inc.
© 2018 Sean McCutcheon's Air Conditioning and Heating, Inc. All rights reserved. Web Design and Hosting: Concept Digital Media, Inc.